Rao Advisors - We Help You Aim Higher! : How important is STAAR? Visit any Texas school campus during the second school term of every year. 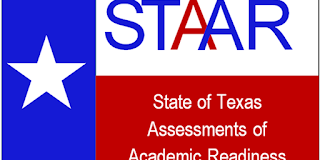 As the calendar moves closer to March and April, the State of Texas Assessments of Academic Readiness (STAAR) fever is everywhere. Teachers spend several minutes during each class preparing students for the test. At home, parents urge their children to study hard. Children look up from their iPhone screens and utter a characteristic, uncaring "Uh huh." So, just how important is STAAR? In Texas, you can't move up a grade without getting a passing STAAR score. Texas is one of 13 states in which you can't graduate from high school without passing the so-called exit STAAR EOC tests. But passing the STAAR test for most students isn't a big challenge, which is the reason for the "Uh huh" response. The truth is that STAAR is more an evaluation of how well schools are teaching children. It traces its origin to then-Governor Bush's No Child Left Behind (NCLB) vision which ultimately became federal policy: Teachers and school administrations work all year to teach students, so if students are indeed learning, a test ought to measure how well schools are doing. A school that tests well is rated high by the state in annual rankings, and this helps the school's brand. A school that doesn't score as well may qualify for additional funds from the state. A school that consistently doesn't do well faces a risk of closure or even a state takeover. So how does STAAR impact an individual student's performance? Other than as an official platform to practice taking standardized tests like the PSAT/SAT/ACT, very little. As long as the student earns a passing score on STAAR, no one cares about how well a student did. When a student is in middle school, the school may use the best STAAR test results and "recommend" him/her to Duke TIP, but this is of inconsequential value. [We are philosophically opposed to all Duke TIP-type programs as we repeatedly point out at our seminars and in one-on-one sessions with families]. The more important truths are these: Contrary to myth, STAAR scores are not reported on a student's TEA grades. School districts are not allowed to use STAAR scores to calculate GPA, weighted average GPA or class rank. No college admissions committee asks you for a STAAR score like it would for the SAT or ACT. The National Merit Scholarship award is not made on STAAR performance but actually on a student's PSAT performance. All of these statements are true for every STAAR test. STAAR is not as consequential a test as some may have you believe. We urge families to relax and prioritize time to help students do well on their traditional in-class tests and exams to improve grades.